Marbella webcam or Marbella web cam are digital cameras directly connected to the Internet. Some people also refer to these web camera as web cam Marbella cams. Marbella travel and weather webcams are constantly transmitting and streaming live video, pictures and images of Marbella that you can see from your computer wherever you are in the world. Marbella has escaped much of the high-rise buildings which in our opinion have spoiled some parts of the Costa del Sol coast. Marbella skyline – Panoramic view over the city rooftops. If you are interested in webcam Marbella then you may be interested in our other pages devoted to information on Marbella – in particular you may be interested in our page on the weather for Marbella. 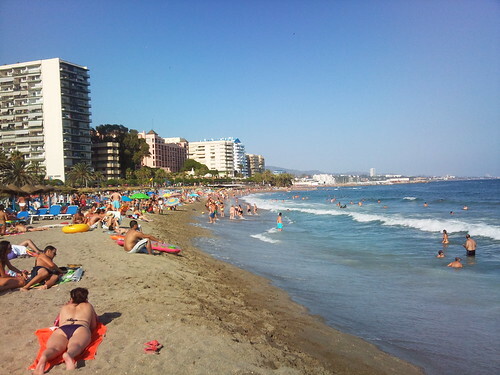 Marbella webcams are great for people who have never been to Marbella and who want to see what Marbella looks like.